EduPristine>Blog>Will you make it with that passing rate for ACCA? Will you make it with that passing rate for ACCA? It is an introduction to accountancy in business. It contains the introductory segment to accountancy with the basic concepts. 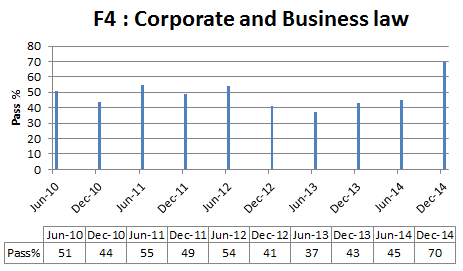 The passing percentages have seen a rising trend in the past years with a little depression in December 2011- December 2012. Most students usually clear this exam as it is very basic and introductory. The pass rates are usually high and you can expect to pass in this subject easily with a little effort. The purpose of cost accounting and costing techniques which are required to regulate a business efficiently is discussed. 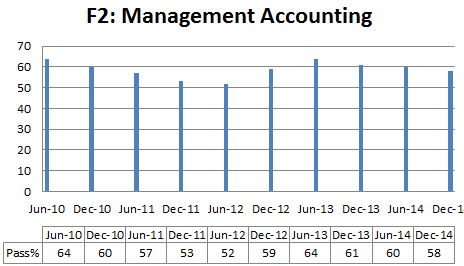 The passing percentages in management accounting dangles between 55- 65%. Unlike accounting in business, it is more explanatory and elaborative and one needs to put in more effort to clear this paper with good marks. So work a little hard and you will ace this paper. It focuses on creating financial statements and account sheets along with the process of creating accounting statements. This, like management accounting dodges between 50-65%. It is not as difficult but it does require a lot of practice. Creating financial statements and accounting statements require accuracy and to become an efficient ACCA member you should ace this paper. It focuses on developing the skills and knowledge to understand the general legal framework under which a firm operates and when to seek legal advice. The pass percentage for this has been dwindling between 40-50%, but the exams held in December 2014 saw a shoot up of the percentage to 70%. Understanding the rules and regulations and to govern it requires you to have a complete knowledge of the law. It consists of theoretical knowledge and is not difficult if you keep revising the laws and its norms. 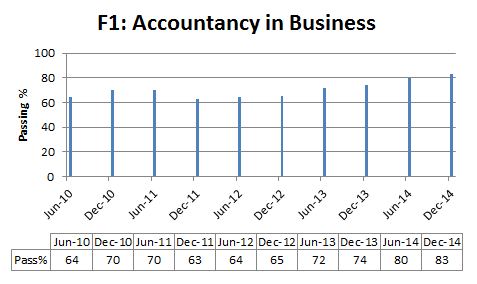 It builds on the knowledge gained from F2: Management accounting. It provides a theoretical base to management as well as how to measure performance and efficiency. 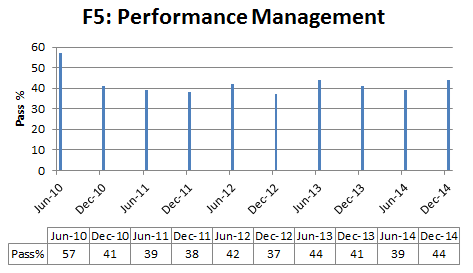 It is a prelude to P5: Advanced performance Management. 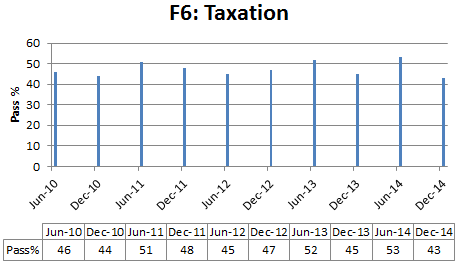 The pass percentage for this subject has been constantly changing every year. It sees a hike and them a boom. It keeps shifting between 38-45%. This subject, once again is not as difficult as assumed. It requires concentration, once you concentrate on it, it will be like the way to parish church. It introduces the candidates to taxation, the types and gives a basic insight of the tax system and its functioning. It gives core knowledge of the underlying principles and concepts of taxation in a business as well as for individuals. It is an interesting subject and the average passing percentage for this is 50%. It is one that induces you and questions your intellect, thus it automatically develops an interest. You can take up this subject as a game and clear it with ease. 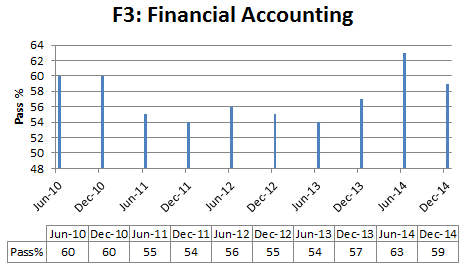 It emphasises on the knowledge acquired in F3: financial accounting. 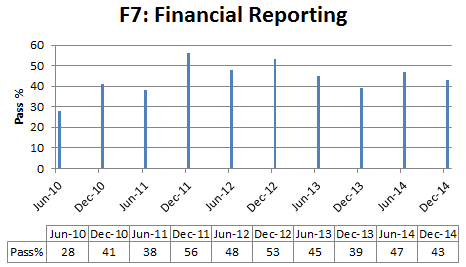 It seeks to further enhance your knowledge about the financial reports and the information contained in them. The pass percentage for this subject is subjective and you can clear it without any problem if you just put your mind to it. Excelling in this subject is up to you and the effort that you are willing to put in. The passing percentage range between 40-55%. It focuses on five topics. 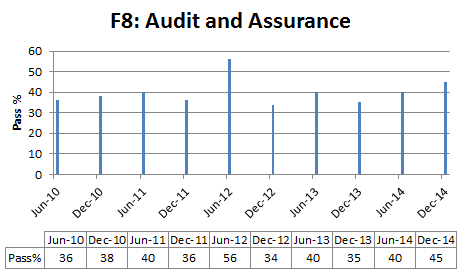 The nature, purpose and scope of assurance engagements both internal and external, including the statutory audit, its regulatory environment, and governance and professional ethics relating to audit and assurance, planning and risk assessment audit, audit of financial statements including the scope of internal control, audit reports, management reports, and internal audit reports. This enhances your knowledge and skills required to become an ACCA. The passing percentages hold wide fluctuations and clearing this paper is not such a tedious task. It is a bed of roses, all you need is a little revision and practice and a will to clear it. 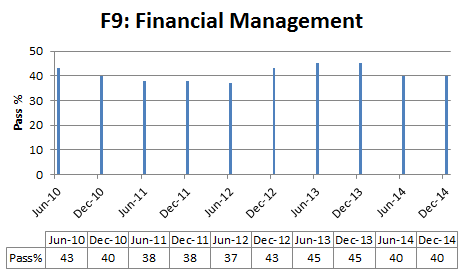 It is a prelude to P4: Advanced Financial Management. It basically focuses on the role and purpose of financial management within a business. The three key financial management decisions of investing, financing, and dividend policy in the economic environment are stressed on and how to make such decisions. The passing rate for this too dodges between 35-40%. Previous Where will ACCA take me?